Featuring music from Awaiting Dawn, Bjorn Riis, Cats in Space, CiDevant, Devil Electric, Emerald Mind, Greylevel, Halo Tora, Iman Califato Independiente, Kaleidoreal, Lumerians, MonnaLisa, The Moody Blues, Northwind, Odyssee, Planet P, Proportions, Rebekka, Symphony, Three Seasons, Time, and Vvlva. 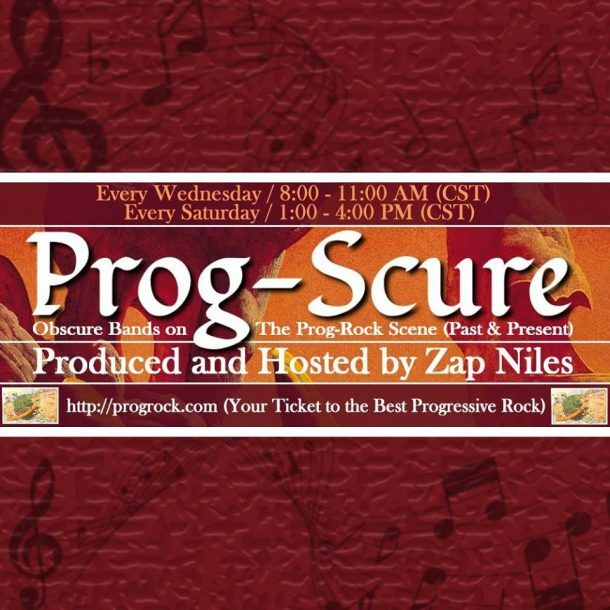 Do you enjoy Prog-Scure? If so, perhaps you might consider helping me to keep this show afloat by joining my exclusive community at https://www.patreon.com/zapniles.